For Guilin, biking is certainly a perfect way to explore this scenic city. And just a short bike ride out of town, cyclists can be transported into a completely rural setting. Thus, bike rental and cycling is something 100% recommended. That is a perfect way to get off the tourist path and enjoy close-up views at your own pace. There are several guided bicycle tours available to meet our travelers’ need. And also, we provide some different models of mountain bikes - BTWIN, Giant ATX 790/890, XTC770 and TALON770 - for rental, which are the most suitable ones for riding on the cycling path in Guilin. We also have some of the top bicycle technicians of Guilin, with many cheaper and more comfortable bicycles available for you, big differences and amusement will be found when you on our self-assemble bikes! 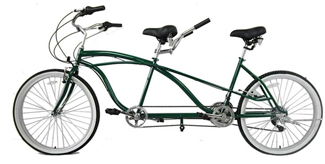 Our best bikes, used for private cycling groups. 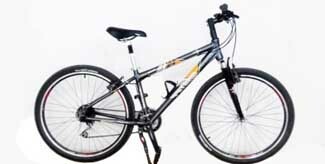 USE: 2-15-days long distance cycling,more sporty. Reliable self-assembled, perfect for half / day trips. USE: 1-5 days long distance cycling, less sporty. USE: 1-5 days long distance cycling,less sporty. HELMET uses (for free), rear luggage rack (for free if booking for multi-day uses ahead). water proof rear PANNIER - around 40L (CNY20 per day per pannier), simple bike fixing TOOLS - spare tube(s),pump,etc. (for free if you book self-guided cycling with us or rental our bikes over 3 days), bike LOCKs is not provided as it is not safe to park the bikes in public in the urban areas (means you have to leave someone keep watching them if some of you want to visit parks or want to do some in-door shopping), MAP/ROUTEs - we can only help for some overview about places and directions worth to cycle, detailed maps or GPS date is not allowed to provide to 'guests only rent bikes'. Guests should compensate for any bike broken or lost during the rental time caused by individual improper bike usage or accident. Please check your bike carefully before leaving. A guest should pay 70% of the new bike’s price (same level we offered) if losting the bikes. * We are not responsible for any injury or losts during your rental time. Insurance is NOT included. 1. Please call us ahead via local Chinese phone to 0773-3810665 before going to our workshop as we might not be there for most of the time. (away with groups, weekend, off work periods, etc. ). Back-up contact: number to Robert Liu 13635190031 / Forrest Wu 15296807701. 2. 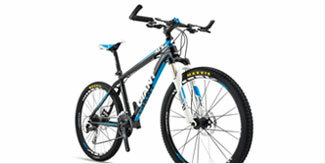 Email and reserve the bikes ahead as we are busy and bikes might not be available during high season. Price = CNY20 per bike per transfer. 2. During our non-working hours (national holiday, weekend, etc. ), the rental price will be double / triple if the bike number you need is less than 4 (full day rental) or the total rental fee is less than CNY200. 3. Bike rental / bike transfers /replying email may not available when we are on vacation or leading groups, so sorry for that. 4. We also offer packing / transfer to airport services for your own bikes, you can contact us for the price. 5. Extra cost may happen if you delay / change your plan and the time to return our bikes. Our Working Hours: 9:30 - 18:00 (lunch time around 12:30), Monday to Friday, GMT+8. ADDRESS TO GET THE BIKES ? Our workshop (also where most of our tour starts)is in downtown of Guilin, please visit it at: No.40, Sanduo road of Guilin, it is 20 meters inside a mall arch on the right of Administration for Industry and Commerce (工商行政管理)/ 100 meters from the red color bridge named Lize Bridge heading to Zhongshan road. (If you find that arch, we are located inside! )If you are living near the Guilin Zhengyang Pedestrian Street (正阳路步行街) or the Waterfall hotel of Guilin, try to find the Gunanmen (古南门) then the This Old Place Hostel nearby, and then you can find the red bridge mentioned and then easy to find us soon. Show our address in Chinese (三多路40号，桂林工商行政管理局) to the taxi driver and he will drive you there, the fee is around CNY12-20. Don't get cheated.